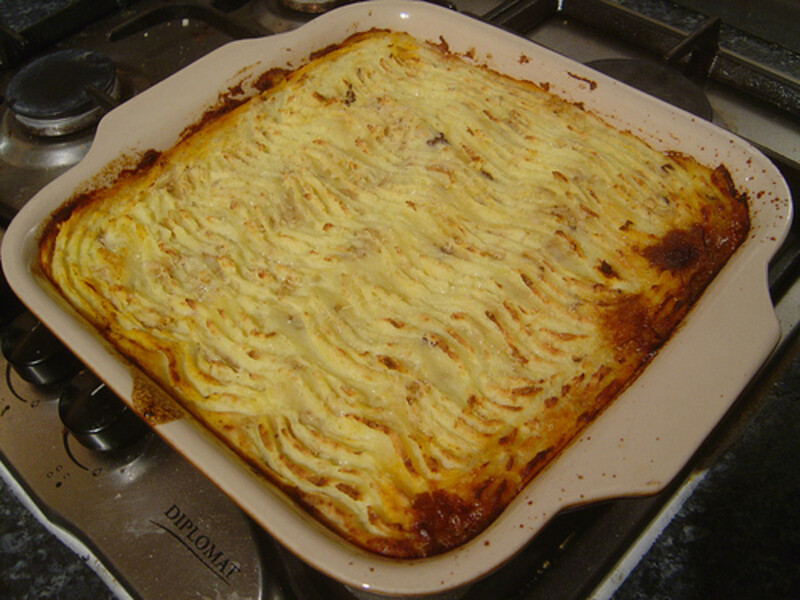 Shepherd's pie, sometimes called cottage pie, is an English dish. But great food knows no boundaries. Shepherd's pie is as diverse a dish as we are people. This wonderful recipe comes from my French Canadian friend, who made it for me during her recent visit to my home. 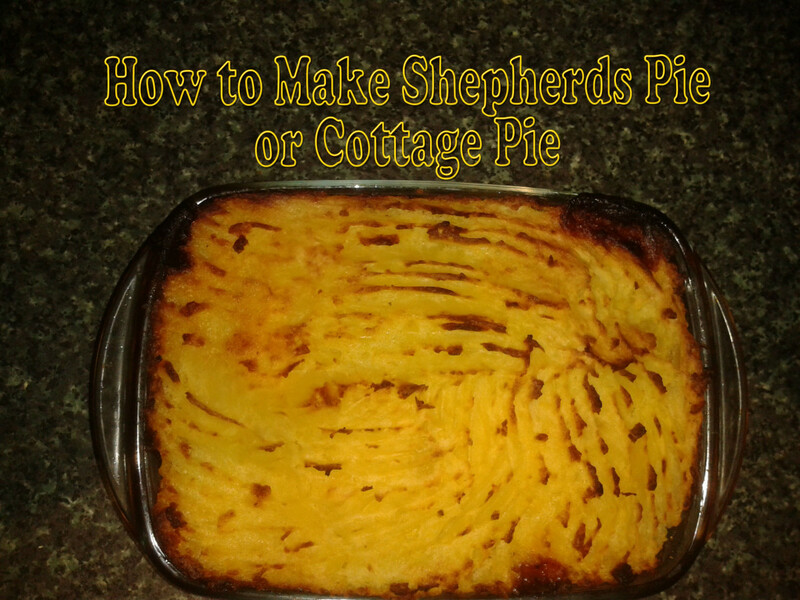 Shepherd's Pie or Cottage Pie? 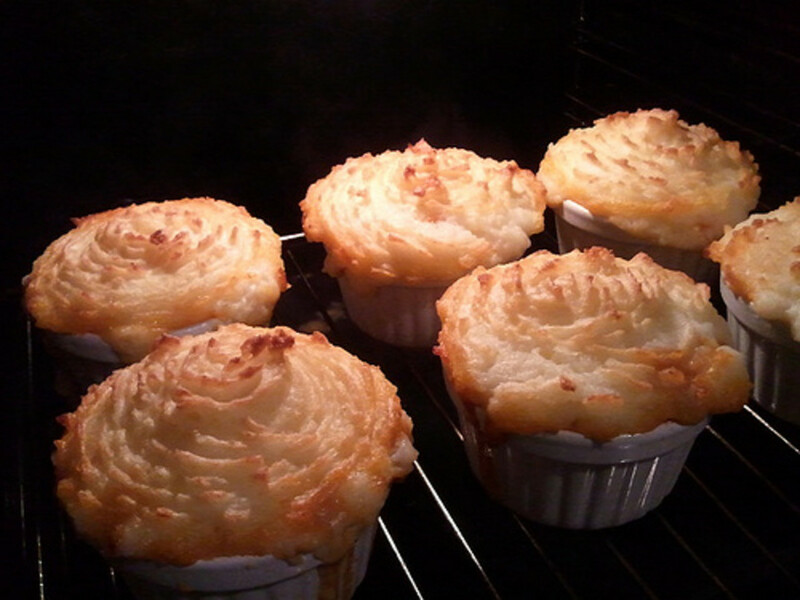 The dish is called shepherd's pie when it is made with lamb or mutton, and cottage pie when made with beef. Both pies include vegetables and are topped with mashed potatoes. Traditionally, cooks minced the meat left over from the an evening's meal to make the pies. With the advent of commercial food processing, making the dish starting with raw, ground meat became popular. I am lucky to have an old-world German meat purveyor who selects, prepares, and sells the finest meats. If you have this fine meat provider, then that's wonderful. But you can find a ground combination of veal, beef, and pork, commonly sold as "meatloaf mix", in any supermarket. This recipe calls for canned whole kernels of corn and canned creamed corn. If you would like to prepare corn from scratch, that's even better. Buy fresh garlic and fresh onions. 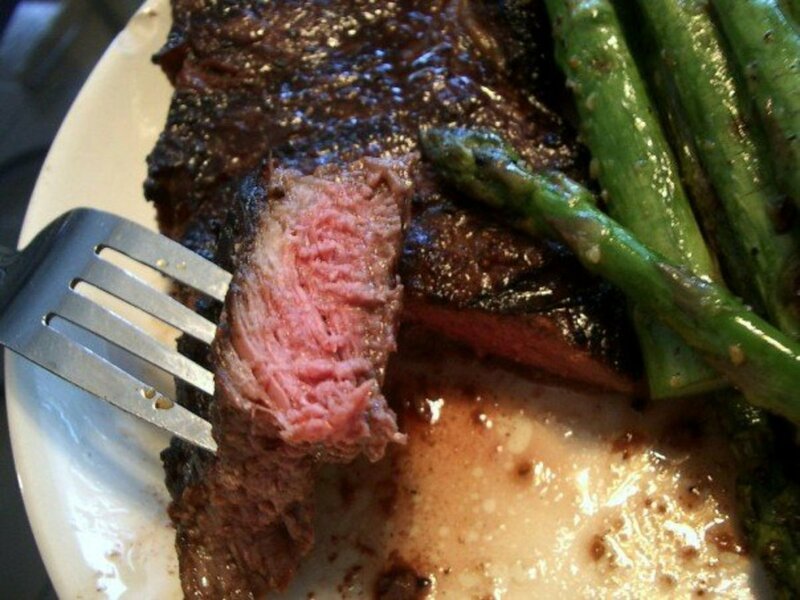 Don't rely on garlic powder or salt, or dried onions. Only when you cook the fresh onions and garlic with the meat will you have the essence of this delectable dish. Lightly grease or spray an 11 x 9 inch or 10-inch square baking dish. Wash the potatoes and cut them into pieces about an inch and a half square, leaving the skin on. Boil the water for the potatoes. Add the potatoes to the boiling water, turn the heat a little lower, and boil gently for about 20 minutes until the pieces break apart when poked with a fork. When the potato pieces are done, drain them, and mash or whip them with whatever butter, milk, and salt you would normally use when making mashed potatoes. Set aside. In a fry pan on the top of the stove over low-medium heat, melt the 2 tablespoons of butter and add the diced onion. Stir occasionally until the onion is translucent. Add the minced garlic and up the heat just a bit. When the meat is browned, stir in the dry onion soup mix and the Worcestershire sauce. Simmer a minute or two, turn off the heat, and cover. Don't hesitate to make this recipe just because you usually cook only for yourself. Those frozen, thawed, and heated smaller portions make for a convenient and hearty breakfast, lunch, or dinner. Place the meat and its seasonings from the fry pan into the baking dish. Add the whole kernel corn and spread it around. Add the creamed corn, and spread it around, too. Bake in the oven for about 30 minutes, uncovered. I like to double the recipe, serving half for the evening's meal and dividing the other half into 4 to 6 small oven-proof dishes. While the large pan is baking in the oven, layer the ingredients in the small dishes just as you did for the large baking pan. Seal the unbaked smaller dishes with plastic wrap, gently pressing the wrap into the potatoes to prevent freezer burn. Cover again with aluminum foil, seal tightly, and freeze. To thaw and bake the frozen dish, remove it from the freezer the night before you want to eat it and place it in the refrigerator. The next day, about an hour before your meal, remove the dish from the refrigerator and let it sit on the kitchen counter. Preheat the oven to 350 degrees F, remove the plastic wrap and foil, and then bake for 25 minutes to an hour, depending on the size of your dish. When the weather is warm, serve with a fresh garden salad topped with Russian dressing and add a side of a fresh steamed green vegetable such as green beans, snow peas, or sugar snaps. When the weather is cooler, serve with hot honey-glazed carrots and steamed broccoli. Whose tongue, whose nose, brought on this fame? Peggy, I promise...you will not be disappointed! This is something that I have never prepared but must correct that soon. Thanks for the recipe. It WOULD be better than a scented candle! Ha! You are so right, Lamme, the kids will love it. Don't plan on having leftovers...I don't think that will happen! This sounds absolutely delicious! It's also something that I know the kids would love. Thanks for the great idea for an easy dinner! Don't drool, lovelypaper....definitely not attractive. ;) Thanks, always, for reading and commenting. My mouth is watering. Thanks for sharing. So, I'm thinking...maybe you could put your variation out here as a Hub of its own? Something like Shepherds Pie Ala India? Thought I must revisit this hub to place on record that I tried out this recipe a few days ago and it was a great success! The boys loved it, and now some of their friends have also put in a request that I make it again and call them over too! And easy, too, Wendy. Enjoy! Yummy. This is a great idea for dinner tonight. Hello again Jaspal! I am honored that you found and enjoyed another Hub of mine, and very pleased that you liked the little poem. Yes, that's mine. I couldn't help it. The words just popped out. There was so much to play with considering the history, the beauty, and the deliciousness of this dish. Yup, kids love it. 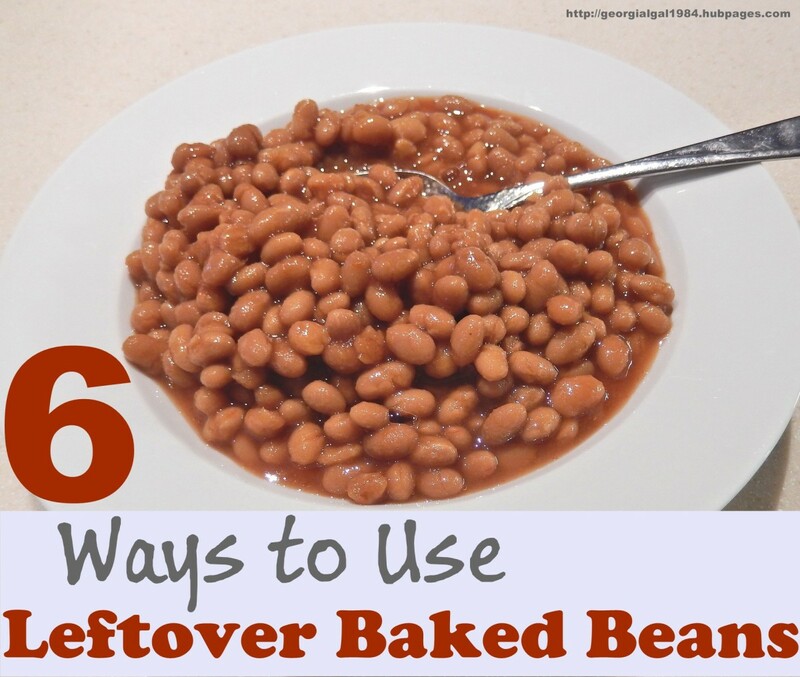 It's one of those great comfort foods, as you found out at your corsemate's home. Thanks again for reading and commenting. I'm in India, and I had shepherd's pie once 10 or 15 years ago, at an Army corsemate's home. I'd absolutely loved it and had gorged shamelessly! Will try it out definitely, but in the combination oven-grill-microwave that I prefer to the regular oven. If it tastes anything like what I've had earlier, am sure the kids would freak out on it! Great poetry too in the begining! Is it your own? RGraf, this is the absolute best winter comfort food. Since you guys up there have been socked hard with bitter weather, I'm sure your friends and family would love some of this shepherd's pie dished up with a little hot soup and maybe a winter side salad (warm or cold), like blanched broccoli, cauliflower, and carrots with some dried herbs and a little vinegar and oil dressing. Bon appetit! Very interesting. Might be a good one to try this weekend. Looks like we'll be doing some grocery shopping soon, FP. Can't wait. What a perfect winter dish. I admit I haven't had this feast since you were here last (except for the extra dish in the freezer that you so kindly left for me). What a winner! Sally. Whoever will try this will love it!!! And i cant wait for us to enjoy this dish again real soon!! Rockinjoe, it doesn't sound weird to me at all. I grew up never having had any kind of cottage or shepherd's pie. The first I ever had was at a hotel just a few years ago. And the best I've had since is this recipe. I know you'll love it. She will make this incredible dish for you, I am sure. She's a genius with food! Actually, I'm pretty sure the recipe has no *official* national origin, but an origin with a wonderful friend of mine who happens to be French Canadian. I promise you, you will make this pie not only decently, but estraordinarily decently. Really, it's easy as, well, 1-2-3. Thanks for stopping by to comment. You will need to let us know how it turned out for you. I love shepards pie, yum yum!!! Hey Danielle, thanks for stopping by and leaving your good words. 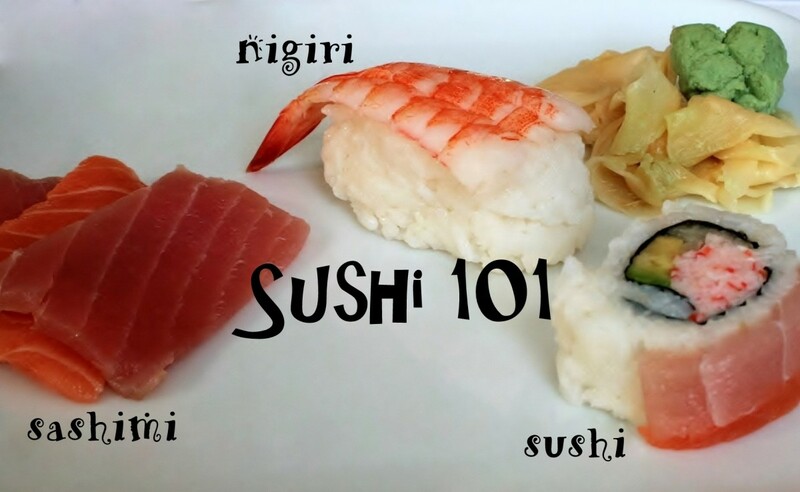 Mmmm -- I'm going to have to give this a try! Your hubs are fun to read and very informative!!! Kat and Karen, this dish is so easy to make. And I guarantee that everyone you serve it to will pig out, big time. Karen, you are so right...make a salad and serve that first. That way you might get a few leftovers of the pie, or at least some won't pig out. Thanks for your nice comments. Go make it! And let me know what you think. This sounds soooo good. I better go fix my salad for dinner before I give in and make this. It sounds great for sunday dinner. This sounds so amazingly easy! I can't wait to try it this week! Thank you, Shaye, for your lovely comments! I agree, gobble pie is the perfect name for Kat's version. What a lovely hub. This is a great alternative to try. 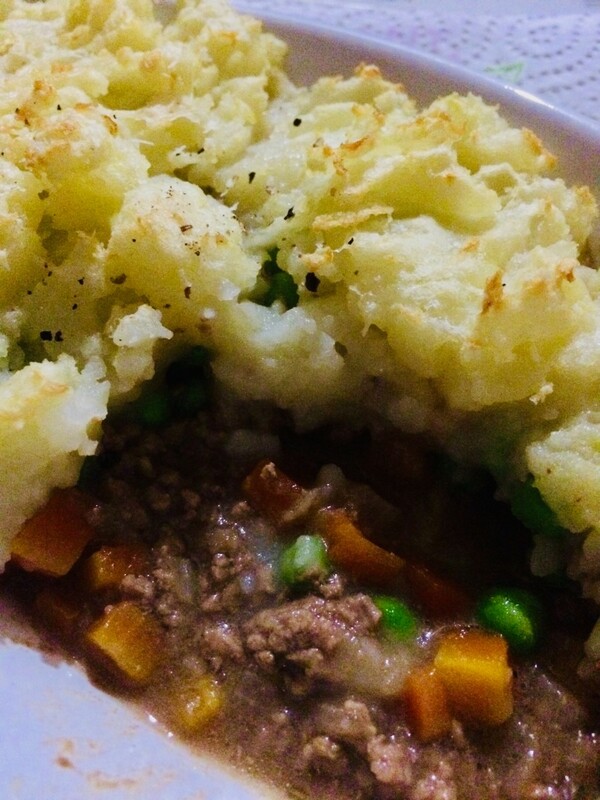 We love Shepherds Pie here in Australia too! What a great question, Kat. I have no idea, so there's a one-time opportunity for you to name it and write a hub about it! In fact, I think a lot of people would want to try your healthy recipe. I LOVE Shperard's Pie- It's funny, I didn't know that what I have been eating for 25 years is actually called &quot;Cottage Pie&quot;, as it is made with beef...I now make a healthy Shepard's Pie with Ground Turkey...Any idea of what that would be technically called?? yes and wow I'm doin' it again and freezin some no one wants to run out of this!@! marisue, you had a pig-out weekend. Good for you! Did you make the shepherd's pie? marisue, thank you once again for your inspiring comments! You just made me think about one of my favorite things to do with leftover mashed potatoes...add some finely minced raw onion, make them into little pancakes, fry them in butter, and top with ketchup or sour cream or both! This recipe sounds good, I'm going to try it...my Mom made sheperd's pie any time we had leftover roast beef or pot roast (she was from German stock) and cut up all the leftover meat with veggies and the potatoes on top...Yum! arrh...is right. I agree with you there! The good news is that they'll probably grow out of their dislike somewhere down the road, but will it be in time to enjoy a family onion dinner with everyone present at the table? Thanks for the nice words, chantelg4. Thanks for stopping by, Bob. 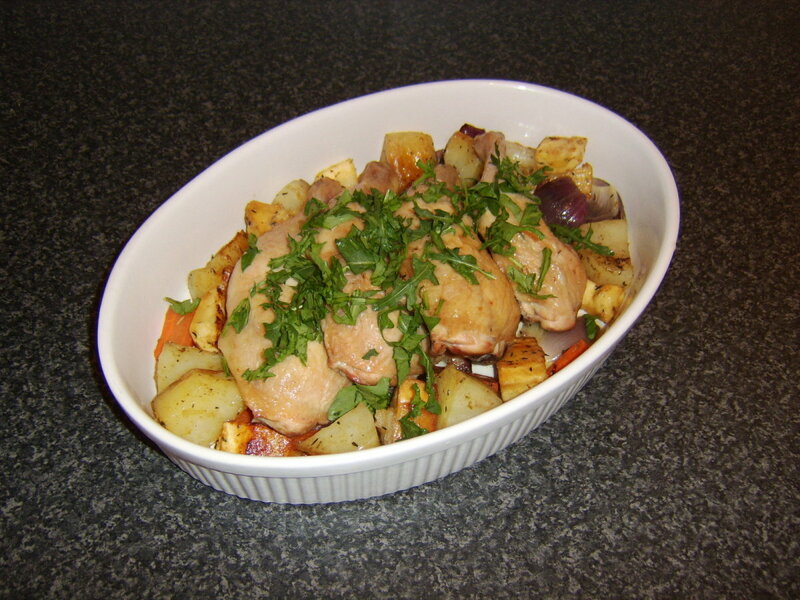 This dish is just so easy, and I'm guessing that it will be a variation of what you've done before. Please let us know how it works out. One of my favourites, I'll have to make this on the weekend, thanks. cgull, I hope you do try it. It's easy and it tastes so good! Thanks for your thoughts. Thanks for stopping by, Szuzsy! And thanks for the tip about making it the night before. You are so right. Just assemble the whole thing, cover, put it in the fridge, and pop it in the oven the next day. Yum! I just love Sheppards pie! I usually make it when I have a big crowd coming. I can have it all ready the night before, then there is time for visiting rather then cooking. I will try this recipe next time especially since it's a Canadian version. Thanks for sharing. Thank you for your comments Patty, lacy, Sweetie. I hope you all enjoy this recipe and let me know how it works out for you. Lacy, I think the key to any good dish is Fresh, Fresh, Fresh...now what that says about Lipton Soup Mix, I'm not sure. Sweetie, once you have it, you will never want to be without it. Especially since it's so easy to freeze and then go from freezer to an evening's meal. This is an excellent Hub imo, containing some history and background and then a recipe that sounds very tyasty. Then photos and a fun video as well. Thumbs up! Sally.... 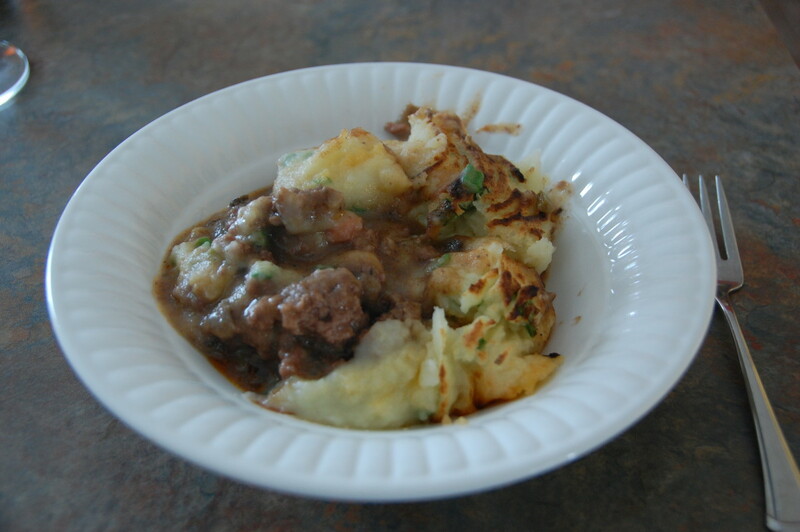 I sooo love Shepards Pie....My family hails from Ireland and we have the same dish with just a few modifications. Your version sounds yummy....especially with the added direction on picking the meats and veggies.... Yummy! I have never had shepherd pie, so this is something I will need to try. Great recipe! Just what I wanted, Donna, to make someone cry! Let's just hope your tears wind up being tears of joy at how delicious this dish is! FlyingPanther, what can I say except that YOU should be getting all the comments! In The Doghouse, it is a wonderful and easy, easy dish. Please let me know how you like making it and eating it! It sounds wonderful. My husband and I had shepherd's pie for the first time at a friends house a few months ago. He has raved about it since. I will have to try this recipe, it actually doesn't sound too hard! lol Thanks for sharing. 11 years ago from here today gone tomorrow!! sally. I am pleased about all the comments ,Great job my friend keep up the great work. annemaeve, I have never been visited by the comfort-food fairy. Will you please send her over one night after I've eaten this shepherd's pie again? Yes, the goodness is kind of sinful, isn't it? Weight loss program, schmeight loss program. When something tastes as good as this shepherd's pie, the comfort-food fairies come at night and serenade the calories right out of you. They even come on the next night after you've reheated the leftovers and gorged yourself a second time. Sally, I love your &quot;Ode&quot;: it's very evocative of the sweet, creamy, sinful goodness of this dish. You are on, my friend! 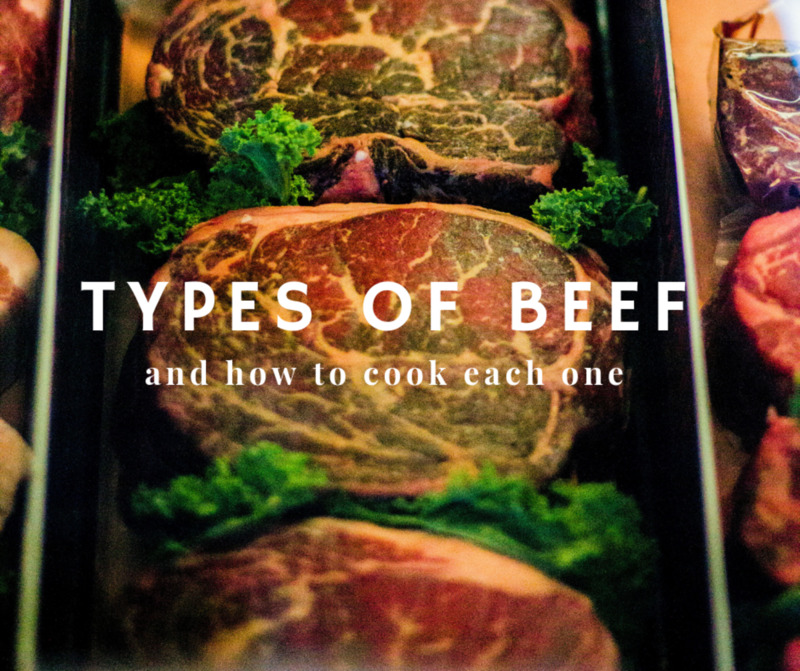 YOU do all the chopping and slicing and dicing. This dish is absolutely delish. In fact, it's kind of addictive. I already ate one of the frozen portions. That means I had this pie three times in a week (2 servings from the original prep, and then the one from the freezer a couple of days later). Very bad for any weight loss program! Neil, thanks so much for the nice and FUN comments. My friend is an excellent cook and a real sweetheart! Halleluia, is see that you are now outed about the dried onion soup and the Worstchester sauce. Ain't it wonderful. It is 6;45 am and I am going in search of a Shepards Pie Omlette. Well, maybe some oatmeal. Two things stand out to me. First, what a gift to have a friend that would come to your home and share this scrumptious dish and second, if we keep up this food theme I will go over my self imposed limit of 200#'s. Thanks for another great hub. I have to go now, I am hungry. Thanks for stopping by, pg. This dish is so simple and so tasty. Please let us know how it works for you! Yum! I can hardly wait to make this. Thanks! robie, whatever comments you may have for the wife, I know we would all love to hear them! Thank you for stopping by. FlyingPanther, if it weren't for you, there would be no shepherd's pie. Thank you so much for bringing this great dish into my life.